E.K. 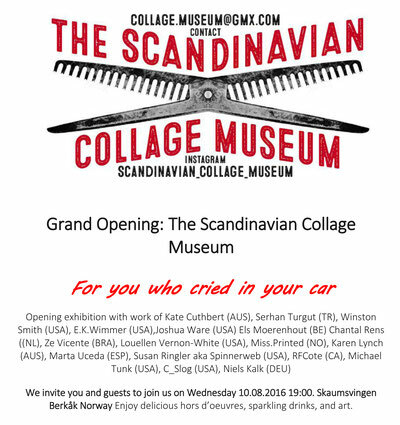 Wimmer will be exhibiting alongside and international group of collage artists at the new Scandinavian Collage Museum in Norway. Along with the exhibition, Wimmer's work will also be including in the museum's Permanent Collection.